Discussion in 'Miscellaneous' started by rhubarbodendron, Aug 21, 2018. I baked a big ol’ layer cake for my cousins birthday. I’m horrible at frosting. It’s cringey bad, but I feel very accomplished. I ate half a jar of buttercream icing. Marynator, Armus, auntiehill and 5 others like this. Everyone does that, though, right? rhubarbodendron, Scribble and TribbleFeeder like this. People who don’t eat the icing from the jar are in the same category as people who pour the milk before the cereal. The wife has been in charge of the shopping lately, and today I found proper butchers cut dry cured bacon in the fridge. Boom. Proudly watched the kids doing really well in their swimming lessons. Boom. And we took the decision to say sod it, to a stressful situation, and take back some dignity to boot. And it’s only half ten. Boom! Scribble, rhubarbodendron, Avro Arrow and 2 others like this. Not today, but yesterday - I finally got to see Alan Parsons live! A solid two-hour concert that featured the entire "I, Robot" album all the way through. An amazing show that I will always treasure. Armus, Random_Spock, Scribble and 3 others like this. Did he have any of the old musicians from the Project years? Guys like Ian Bairnson, David Paton, Stuart Elliott...I always wondered what they were up to these days. Had a very nice day in Pokemon Go today. Community day was on. Got a shiny Cyndaquil, and I got to participate in a Giratina raid! Wasn't able to catch it. Thing is damn near impossible. There's almost no opening to try to throw a ball. O_O On the up side though, my team brought their all and I'm very proud of them. Even my new Alolan Ninetails did me proud . Holy cow was that a nail biter! Found one last Cyndaquil and was able to evolve the shiny Quilava I have into a Typhlosion. my neighbour is back to his winter routine again which consists of finding a favourite tune and playing it nonstop all day really loud. (No idea why he never does that in Summer - maybe it's his way to fight the winter blues.) Fortunately, I have ear defenders (what an apt name! ) for such emergencies. Unexpected side effect after several hours: my dizziness has gotten much less (I've had a labyrinthitis - a mean inner ear inflammation - for a week now) and the pressure on the inner ear is significantly lower today. Even the tinnitus got better. Maybe the warmth of the defenders did it, or the external pressure. At any rate it's nice to be able to walk a few steps again without appearing like a drunkard. YAY! imho it looks absolutely awesome! Makes you want to take a bite at once. Small imperfections always give a certain flair of individuality. Baker-made cakes are just too perfect to be exciting. 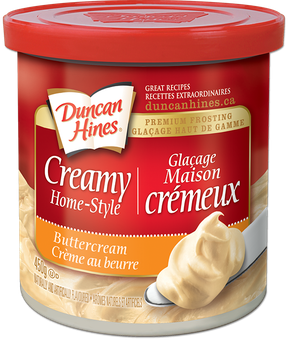 Cool that in your country you can buy butter cream frosting ready for use! I always have to make mine from scratch which is why I make it only very very rarely and rather use a chocolate or sugar coating. I love buttercream. Next time you make a cake I will ship you a box of them! I haven't eaten cake in a long time. I've kind of gone off desserts, really. These days, my 'dessert' is usually a couple of gin and tonics. Armus, rhubarbodendron, Scribble and 2 others like this. Saw " Bohemian Rhapsody. " I enjoyed it. rhubarbodendron, Random_Spock and Scribble like this. No, none of the old guard are involved. The sole long-term member of The Alan Parsons Live Project is P.J. Olsson, who can mimic Colin Blunstone's breathy style eerily well. But all the vocalists are top notch and are faithful to the material. Parsons knows how to play to the strengths of his bandmates. Cool that in your country you can buy butter cream frosting ready for use! @TribbleFeeder , is that the brand you use, by any chance? I may have to look for it to try it out! Scribble and TribbleFeeder like this. I got married today! I think that qualifies as a good thing. Scribble, Marynator, Armus and 5 others like this. Did a bit of yard work today. Weather was ok.
Scribble and Janeway’s Girl like this. I went back and re-read the original post, and it doesn't say that, so I'm not sure exactly how rhubarb inferred that, even though it was apparently correct! Scribble, Janeway’s Girl, Random_Spock and 2 others like this. It is the brand I use! I stick to Duncan Hines or Betty Crocker for my baking needs. It’s really good, but I have made it from scratch before and it tastes way better (as most things do). However, I was being a little lazy this weekend! I’ll put it on my calendar!! Scribble and Armus like this. My cat is lying on my lap right now, just snoozing away. rhubarbodendron, scotpens, Avro Arrow and 4 others like this.